Multiple Award Winner. 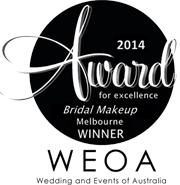 Melbourne Makeup Artist and Hair Stylist Felicia Sarwono is one of Australia’s most talented makeup artist and hair stylists with extensive years of experience in creating flawless, sophisticated and glamorous yet natural finish for her stunning brides and their bridal party. 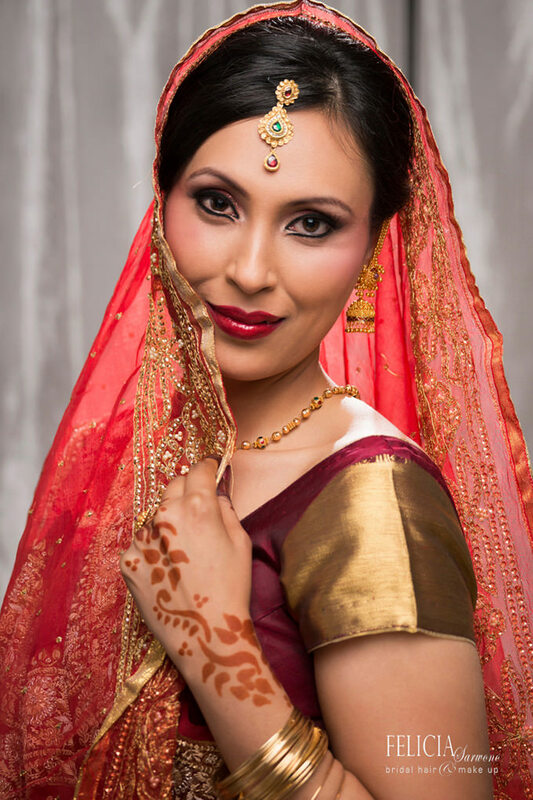 Felicia’s advance technique creating flawless, fresh and modern make up is derived from years of working with brides and individuals from various nationalities and ethnicity. 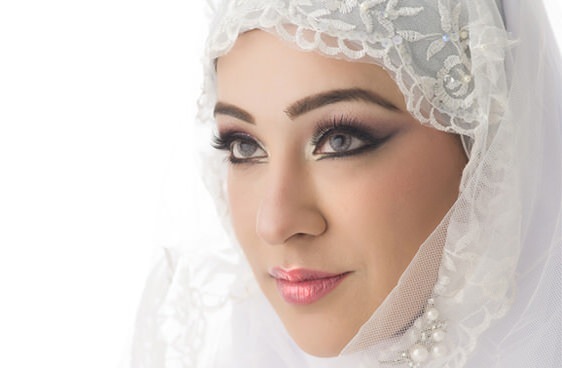 Working within the Art and Beauty industry Felicia has created her own unique techniques on her make up artistry skills combining conventional and airbrush makeup application to create a flawless and most natural look for every individual. Felicia uses only high-end luxurious and professional products that are suitable for all skin types and will last throughout the day. 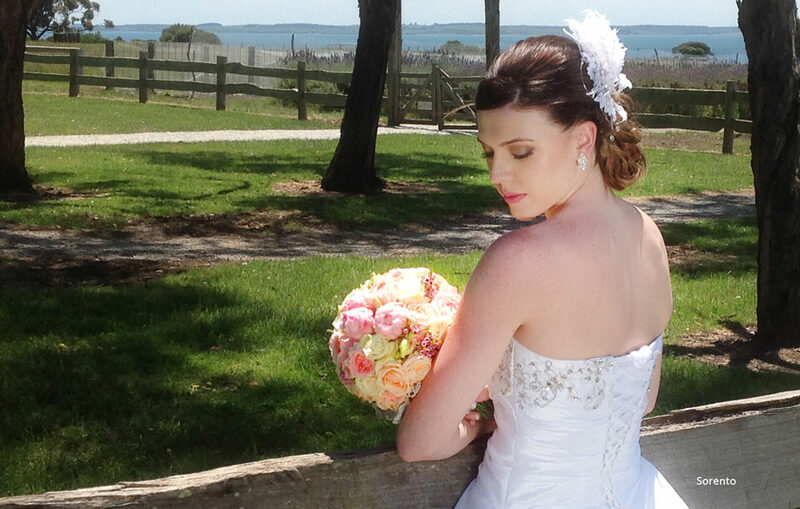 Through her commitment and dedication, you can be rest-assured that your special day will be in the best hands. 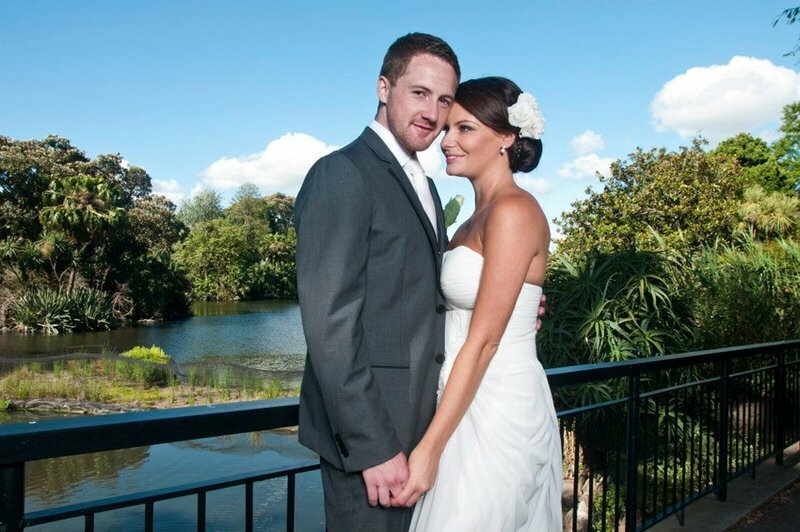 Melbourne wedding packages includes Makeup, Hair Styling and Wedding Flowers are available with bundle discount. 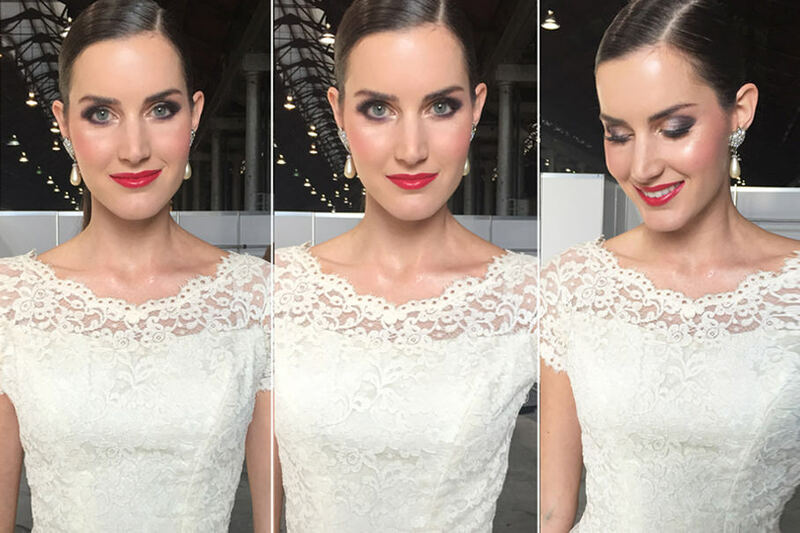 Our Bridal Makeup Artist and Hair Stylist in Melbourne Can Help You Look Perfect! 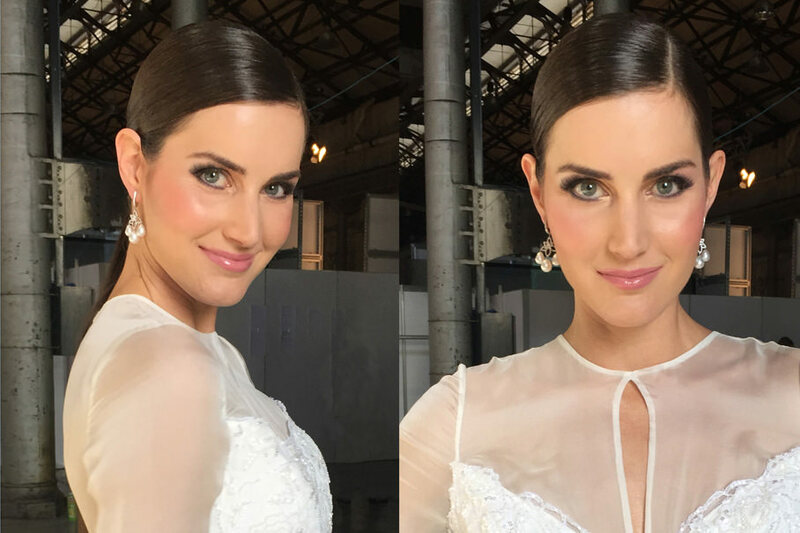 The one way to be assured that you have the best Bridal Makeup Artist in Melbourne is to opt for the best Makeup Artist and Hair Stylist in Melbourne. 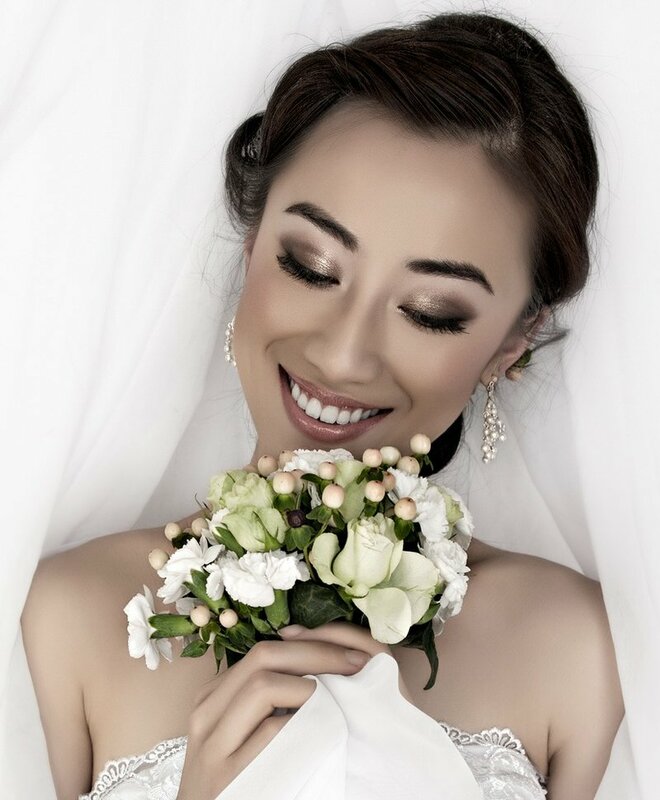 We at Felicia Sarwono Makeup Art have some of the best makeup artists and hair stylists on board, who will ensure you to have the unique stunning look you dream of on your wedding day. I only ordered small bouquets for my flower girls but oh my... They looked great!!! The girls couldnt get their eyes off of them. I almost stole it for myself hahaha... You'd be surprised how amazing the flowers turn out! Highly reccomended! Felicia is very talented, many gave compliments on my wedding flowers. They look pretty and cute; mixed of my favourite colours and the style goes with my wedding theme. Highly recommended : ). 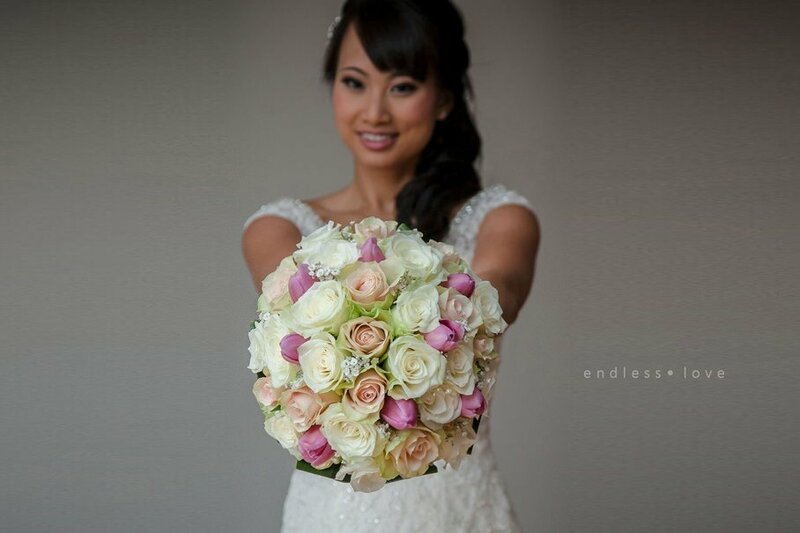 Felicia Sarwono did our flowers (one bridal bouquet and one bridesmaid / throwaway bouque). I opted for the classic bouquet with vintage pink and white roses. 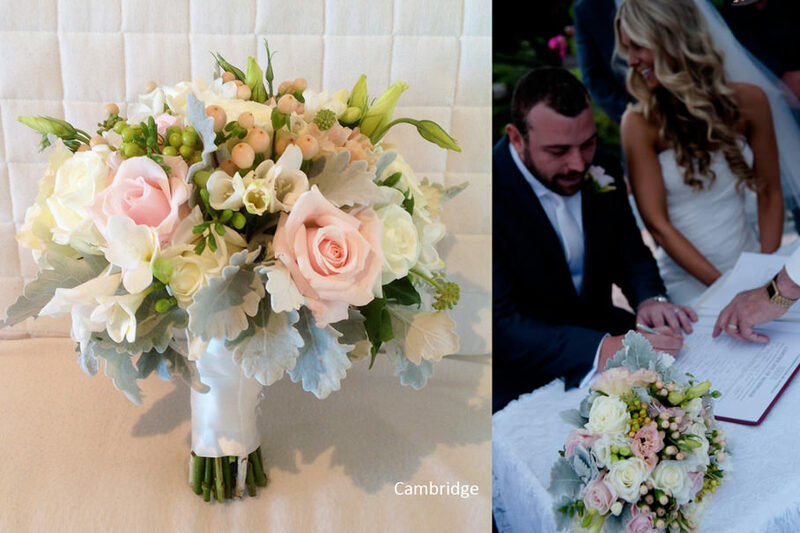 Both these bouquets were very well made, sturdy, long lasting (flowers didn't wilt for a few days!) and beautiful. Very happy with their service, great prices and beautiful flowers. Thanks! Felicia and her team did a amazing job, My flowers were beautiful! thank you again! Felicia's flowers were so beautiful, everytime people see our wedding photos that is the first thing they comment on how beautiful the flowers looked. Felicia was amazing. I was overwhelmed by the effort she put into my bouquets and her affinity for detail. Felicia was excellent to work with from start to finish. I was so happy with the flowers she produced. It contributed to a perfect day to remember! 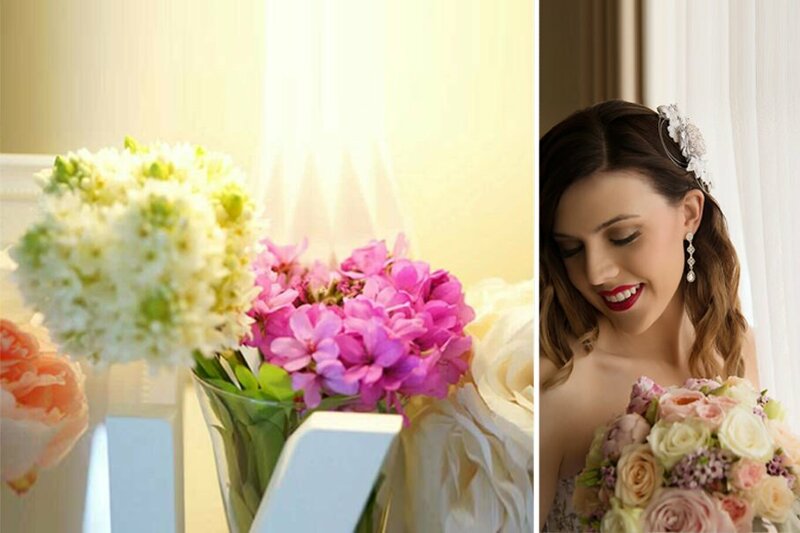 Felicia created a wonderful bouquet and wedding ceremony flowers design with beautiful colour contrast that suits my theme. The flowers used were high quality and fresh. 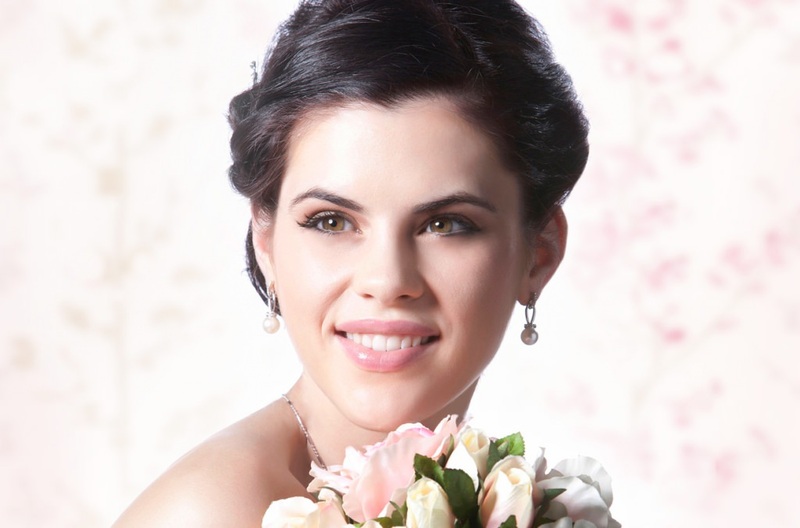 Felicia also provides a wedding package for hair, make up and flowers that Helps to save budget and more convinient! Very Beautiful flowers arrangement, elegant, details, affordable and friendly staff. Worth every dollars I spent :) I highly recommended this florist! The flowers that Felicia supplied were amazing! the roses were huge and the blue flowers accented the bridesmaids dresses perfectly! 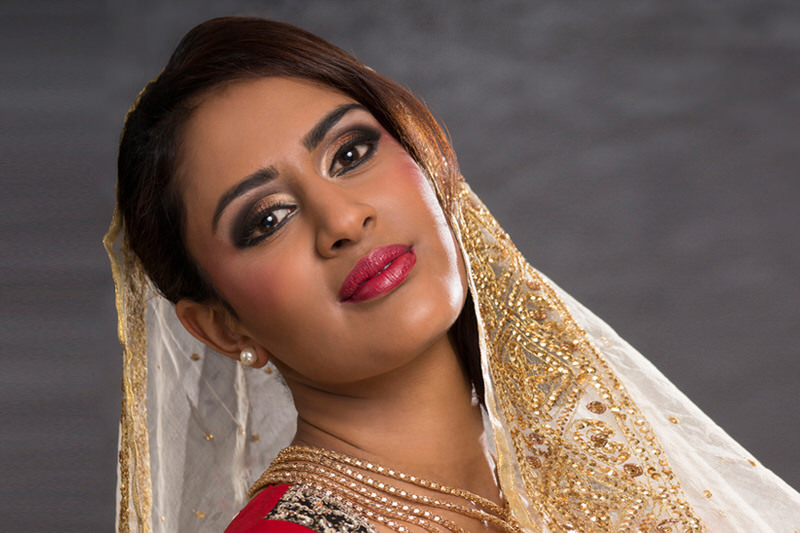 Great communications in the lead up to the wedding, discount if you bundle with hair and make up and the flowers looked stunning on the day. Highly recommended. The flowers are fresh and look very beautiful. The bouquets, The Boutonnières, ceremony flowers and reception flowers are all perfect as requested. Outstanding customer service and patiently answers each query. The price is equally matching with the quality of the flowers and service. Highly recommended!! Felicia did such a beautiful job of my wedding bouquet. She found the flowers I wanted for my bouquet and the presentation of them was so beautifully done. They were so fresh, they lasted through the whole day. 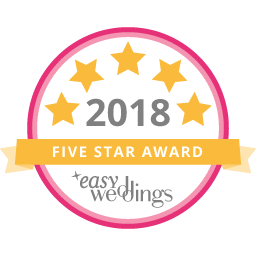 Five stars to Felicia for the wonderful job she has done for my wedding! The flowers were just beautiful all fresh roses( what I have asked for) was very happy with her services not only the flowers but her make up and hair and her traveling! Very friendly and lovely person. Love the make up job. Suits my needs. Felicia did a wonderful touch on my face. Her magic fingers turned the way I look amazingly work for the camera. 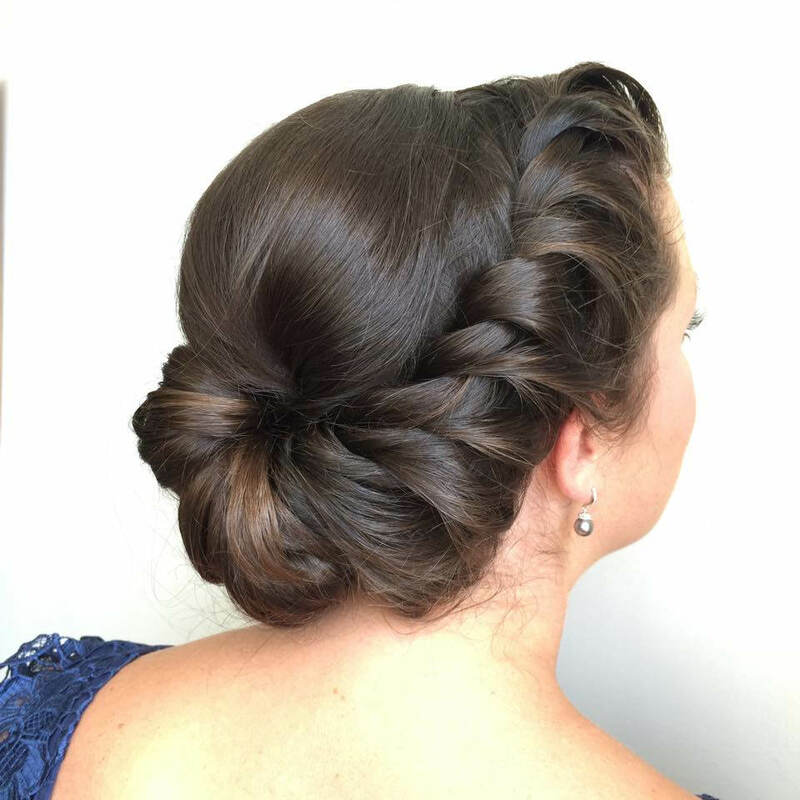 Beautifully done and love my hair-do. Great artist! Felicia was wonderful - she's so relaxed and fun to have around and gave us exactly what we asked for flawless makeup and hair. 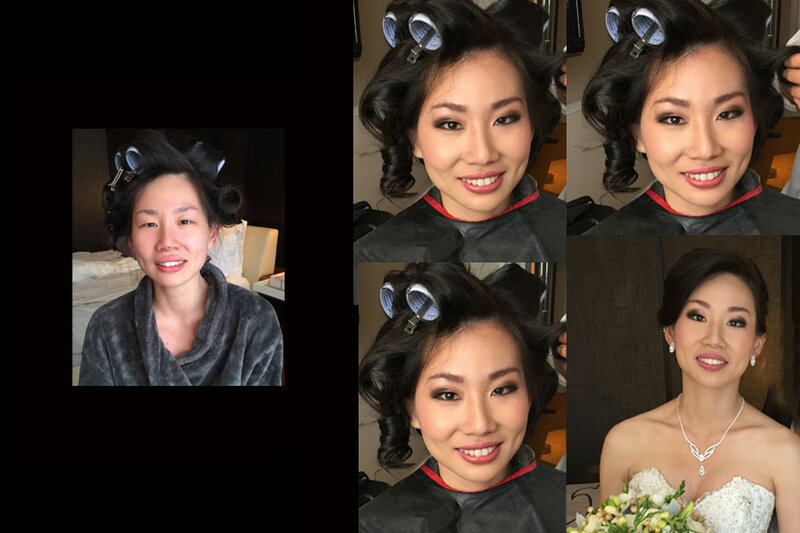 We had Felicia do the makeup & hair for myself, 5 bridesmaids, my mum everyone of the ladies looked sensational & felt like a million dollars. Felicia is a perfectionist. She has a good eye for colours. Felicia did hair/makeup for myself, 4 bridesmaids, flowergirl and mother-of-the-bride. Her work was amazing, creating a simple, natural but sophisticated look. Makeup was flawless, and didn't need any touching up, even with a few tears. I highly recommend Felicia. 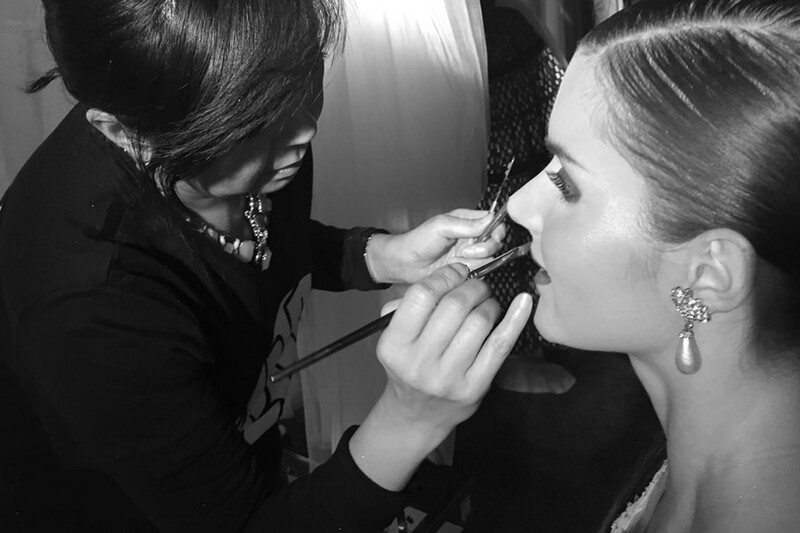 Felicia is a very talented and creative make-up artist. She made me look so beautiful on my wedding day. She is also very patient, extremely detailed, very punctual and really fun to work with. I remembered Felicia told me that her make up n hairdo will last for 8hrs or more... On my big day it lasted for the whole day!!! People complemented on my make up n hair. She made me feel at ease even when I was nervous. Glad I chose her coz i looked amazing!!! Thanks so much!!! Very professional and fun to work with. My make up and hair on the day was everything I hoped it would be. My bridesmaids make up was flawless and natural. Highly recommended for that one big day in your life. 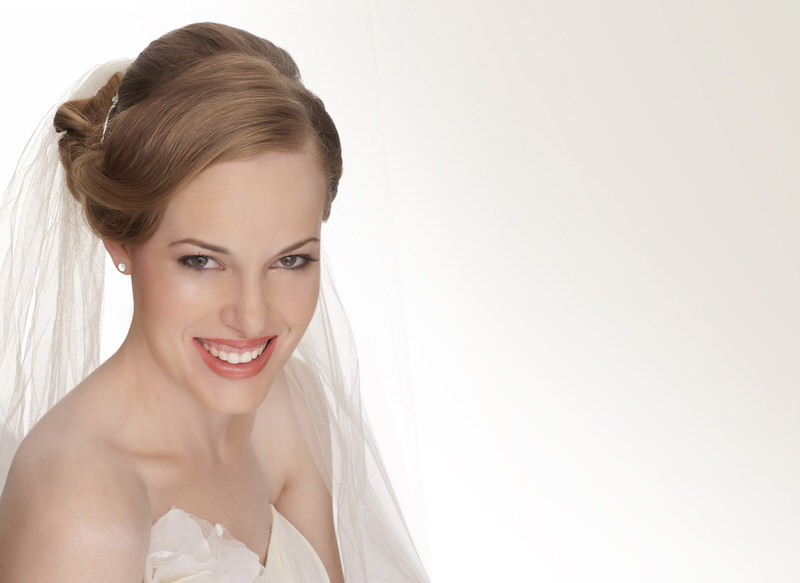 Amazing Service, will travel to your home to prepare hair and air-brushing make-up for your entire bridal party. Reasonable price, excellent customer service. 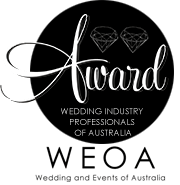 Felicia and her team are beautiful people who aim to give you the best professional experience for your wedding. 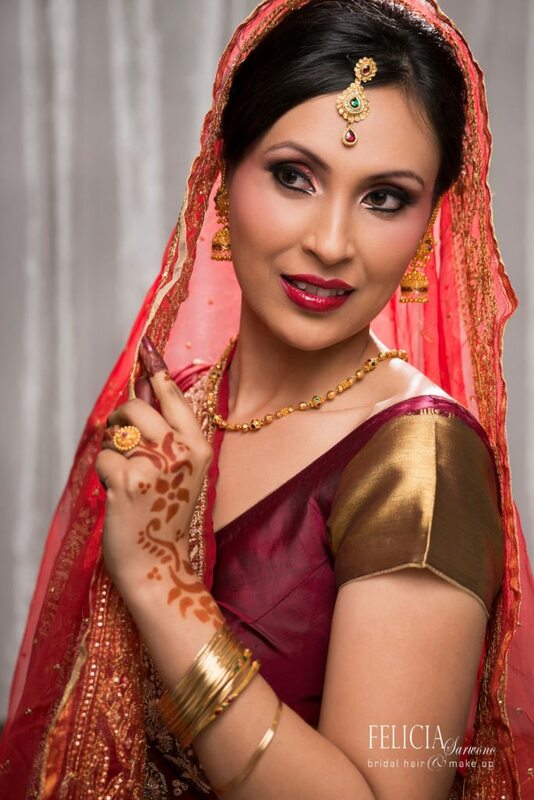 I could not recommend her more highly for your wedding day. I cannot recommend Felicia highly enough. 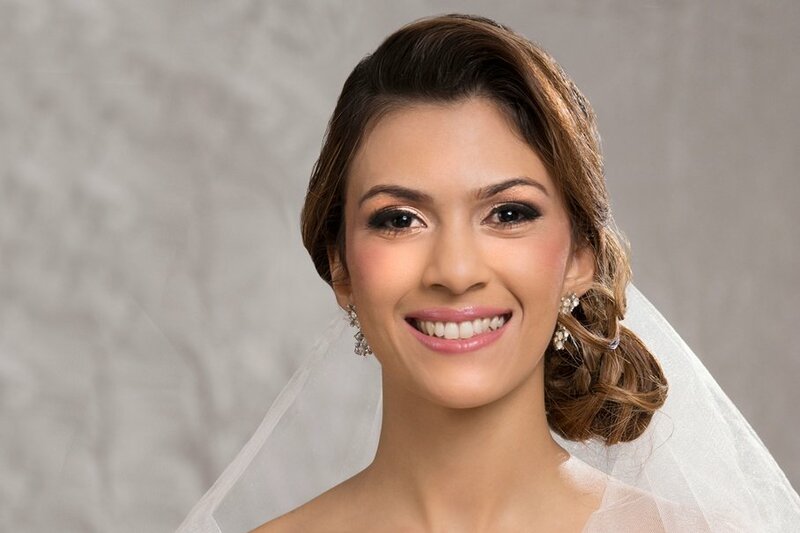 She works with you to decide on what your best look for your big day will be, and works hard to make sure you are 100% happy with it all. She is professional and calming on the day, which is perfect! Felicia and her team were a pleasure to work with. 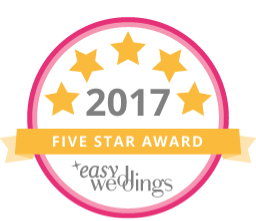 Very professional and calm - even dealing with a couple of bossy bridesmaids! Really listened to what I was after and was happy to make changes along the way. The finished look was perfect. 5 stars service, Felicia listens and at the same time can give good advices/tips. My make up looks natural in the photos and it was reasonably light; the make up stays all day (my skin is very oily). 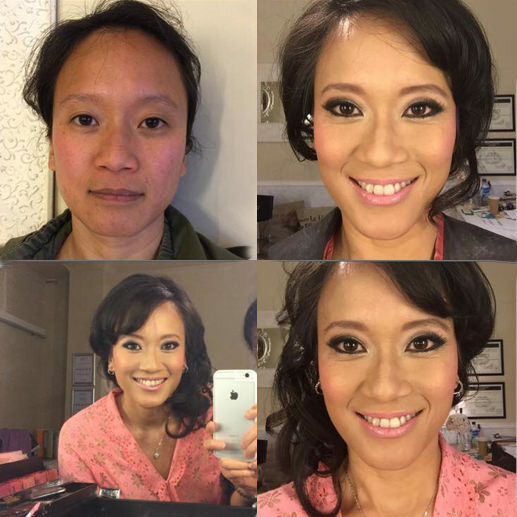 Felicia is very talented, transformed me and my bridal party on the big day. She was also my florist on the day, love her work. Thanks for your helped on my wedding day : ). Excellent service! Very flexible, affordable, friendly and talented! Thanks for making us all look beautiful on this special day Felicia! Great team, work super fast, and great quality. They made everyone looked stunning. A big thank you guys! Such an easy going person to work with. Hair was great, and nothing was too hard to ask for. Thank you again! Felicia and Charisma were absolutely fantastic. Patient, understanding and easygoing. I had a pretty clear idea of the exact look I wanted and they nailed it!!! I could not have been happier. These two ladies are highly recommended. What can I say - My face was burnt quite badly after the facial I had the day before but everybody said I look lovely on the day. Just wonderful!!! Felicia was professional, efficient, and great to work with. I am not used to wearing makeup and getting my hair done, but Felicia gave me a look that was very natural and I felt completely comfortable the whole day. I highly recommend Felicia. 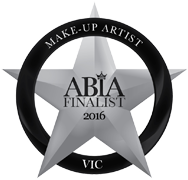 Very professional, obviously very talented make up artist. My hair was great and everyone says I looked stunning... Thanks so much Felicia! Beautiful results & extremely professional. My bridesmaids and myself looked amazing and it lasted all day and night. Felicia was fabulous. Loved the hair and make up. Lasted so well even though I got rained on! Was exactly what I was looking for, Felicia worked with me to work out exactly what I wanted and that would suit me. Calming on a big day. Highly recommend. Thank you Felicia. Felicia and her team took wonderful care of my wedding party 7 in total and we looked Amazing! thank you again! I want to thank Felicia Sarwono for her great service. 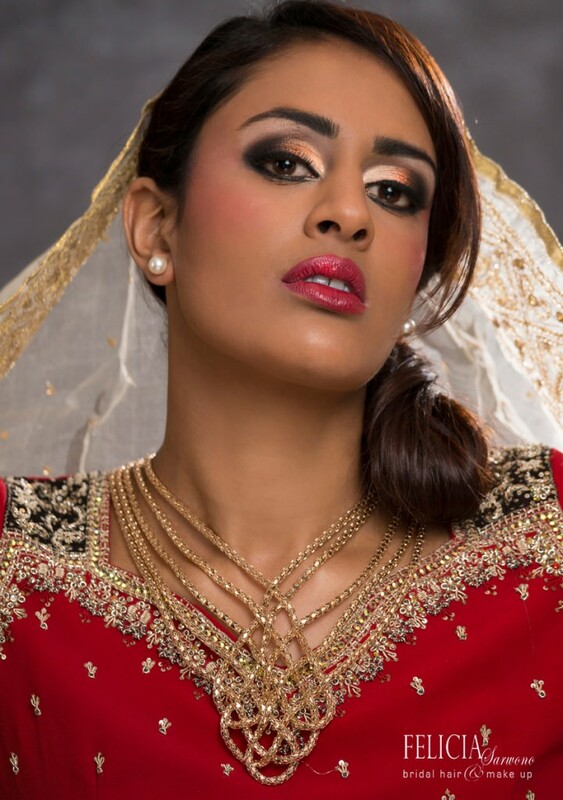 She has done an amazing job on the make up she made me looked very beautiful and very special on my big day. 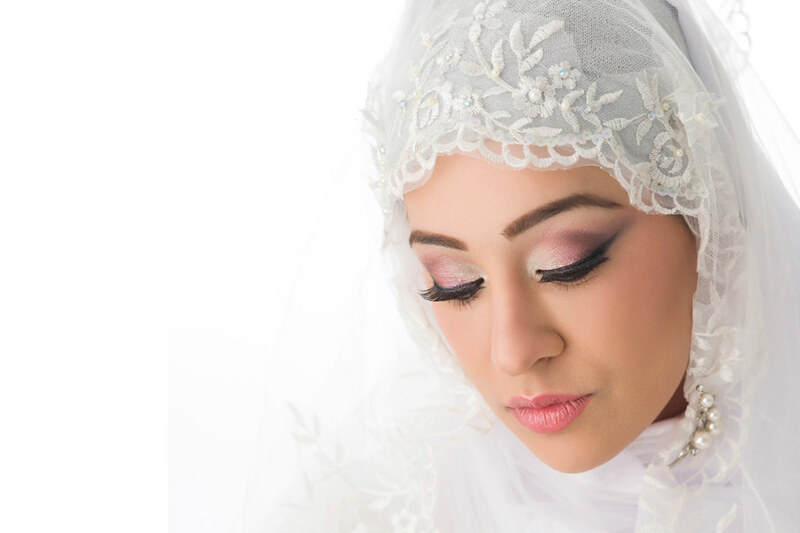 She has travelled along way to do my makeup on my big day. ;) thank you Felicia! Felicia did the hair/make up for myself, 3 bridesmaids, my mum & flower girl. They did such an excellent job. We all looked beautiful, the make up and hair lasted a long time and we didn't even need to touch it up. Definitely recommended. 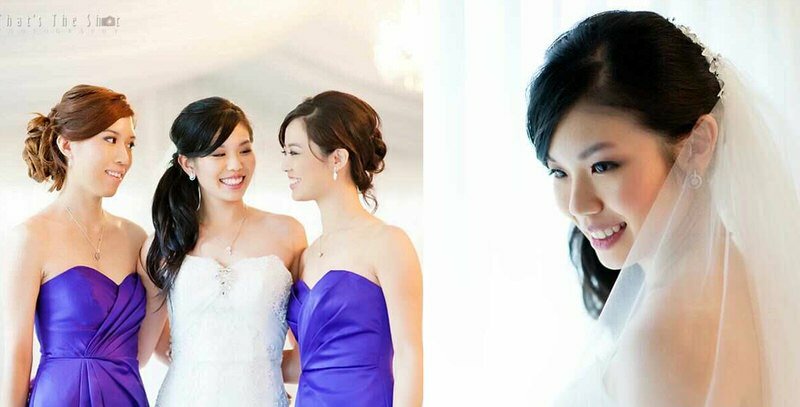 Felicia Sarwono and her team did such a marvelous job of the bride, bridesmaids and mother of the bride's hair and make up. The make up looked so natural, yet flawless at the same time and our hair looked superb. The team uses luxury products only and is so easy to get along with and are very professional. We received loads of compliments. My make up was so light and beautiful. I don't like make up much since it feels so caked on but Felicia made it flawless but same time very light and elegant. My hair my perfect. Couldn't ask for better. Hair and makeup was exactly how we wanted it and it lasted all day! All the girls looked beautiful and Felicia did an amazing job! Thankyou! The make up was excellent quality. Felicia created the look that suit me and each of my 6 bridesmaids . The make up last all day. We also really love the hairstyle that was really what we wanted. 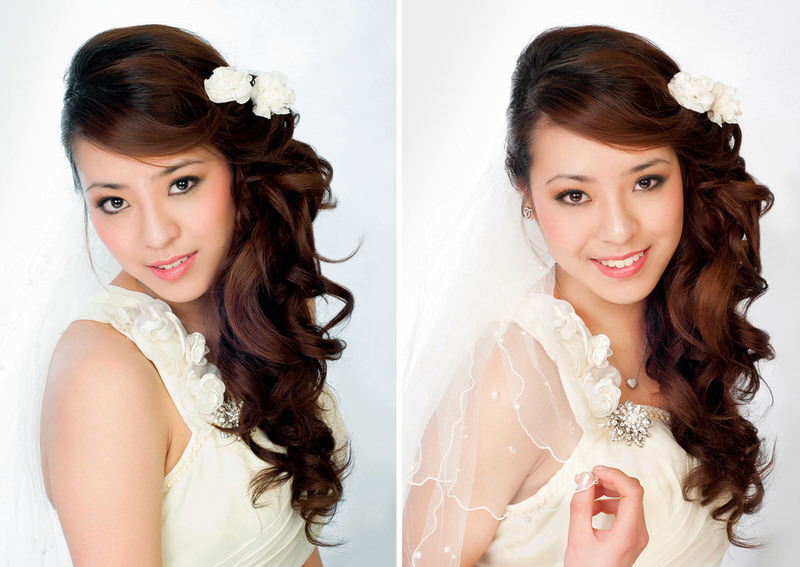 Felicia also provides a wedding package for hair, make up and flowers that Helps to save budget and more convinient! Felicia did an amazing job on my hair and makeup. Very happy. Highly recommend. 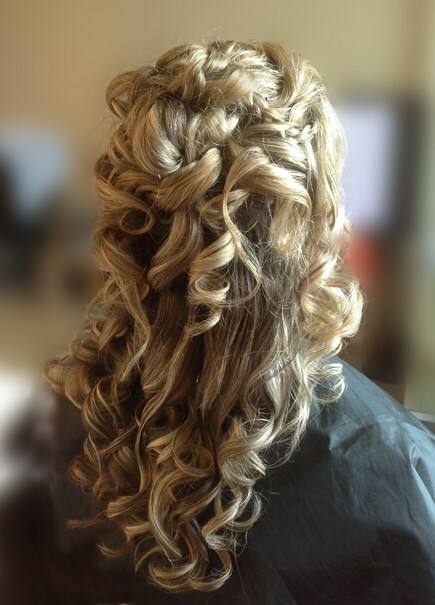 Felicia and team did a great job on the day providing hair and make up for bride, 3 bridesmaids and 2 mothers. Friendly and professional team and great communication ahead of the day. Bundle discount when combined with flowers. Felicia was excellent, would highly recommend her for any type of makeup, especially wedding, she made the whole bridal party look amazing. Passionate make-up artist with top level skills. Felicia and Charisma made my wedding day perfect, bride is looking flawlessly stunning and bridesmaids look gorgeous. 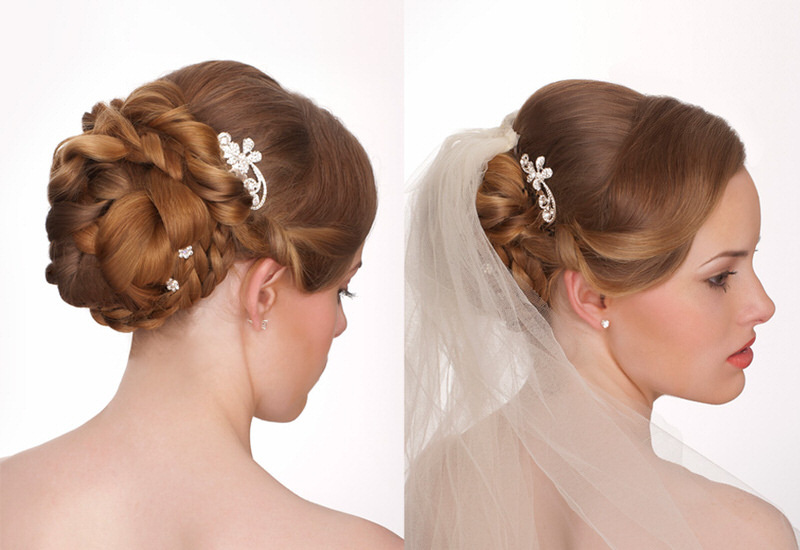 The hairstyle and make up last from morning till the end of reception. 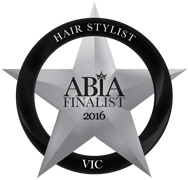 I can't thank enough and very highly recommend her & team!! 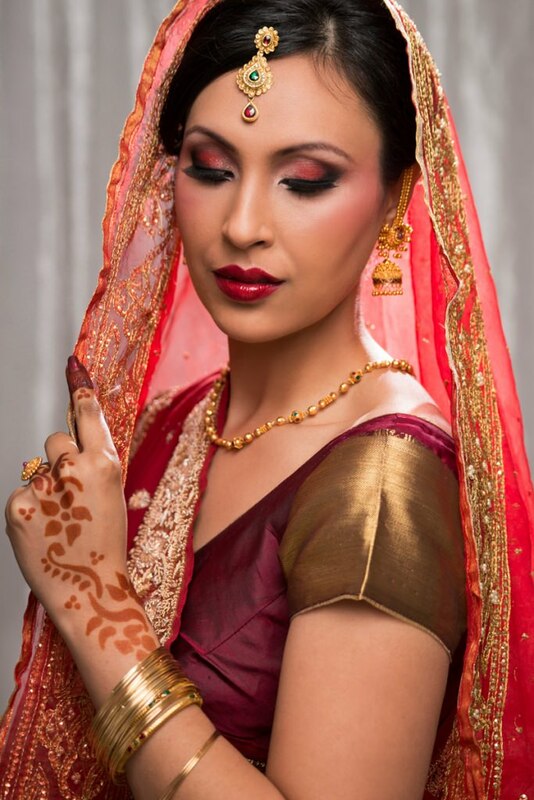 Felicia did such a beautiful job of my makeup for my wedding. With skin allergies I was nervous about having makeup applied. She selected beautiful quality makeup and did me up just as I specified. I looked like a beautiful bride, while also still looking like myself. Felicia and her fabulous team did hair and makeup for myself, MOB and the MOH. Fabulous old school styles - I had a rehearsal with her and it turned out perfect on the day - everyone called me Sophia Loren all day - HIGHLY recommend. Felicia and her team did both my makeup and flowers. Flowers were for myself, MOB, FOB, MOH and flower girl plus Groom, BM, FOG. Plus she did our table arrangements. All delivered on time, beautifully arranged and in the style we discussed HIGHLY recommend. I used Felicia for hair, make up and floral services. Would suggest you use all three services...less stress! Professional , extremely experienced. Friendly manner. Uses top French products -Lancome and Make Up Forever. Uses air brush technique which lasts ages and photographs well. Highly recommend. My Mum loved her!